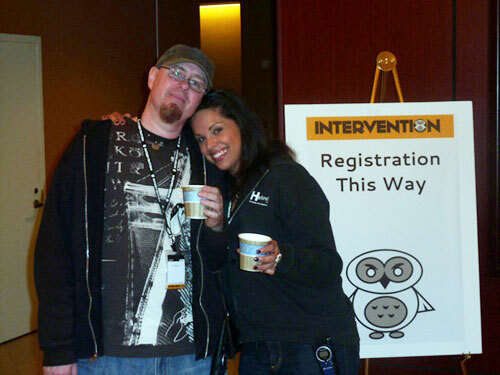 Darlene | "I'm Not The Artist"
James Harknell with his wife Oni Hartstein, creator of Stupid and Insane Defenders Against Chaos and My Annoying Life, in front of signage for their Maryland convention, Intervention. 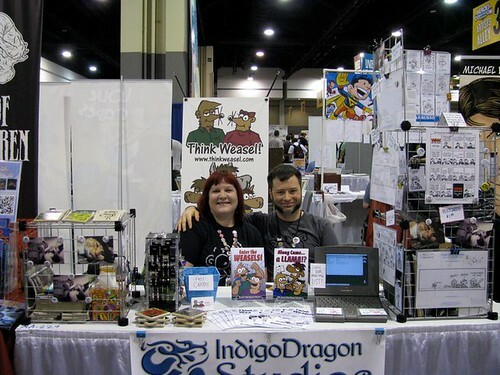 Maryland’s convention for webcomics, indie creators and all geek culture. But Onezumi keeps her hands full penning and drawing Stupid and Insane Defenders Against Chaos and My Annoying Life, both found at http://www.onezumi.com. 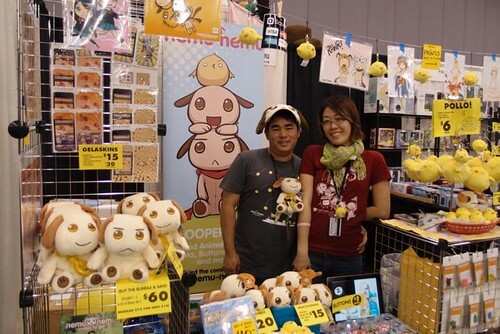 How does this busy couple keep it cool between running two webcomics and a successful convention? It’s all about teamwork. 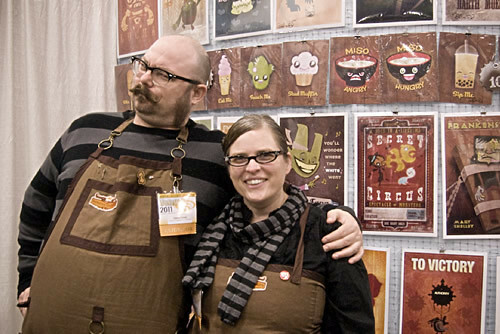 In the seven years they’ve been exhibiting at conventions, James has never missed a show. 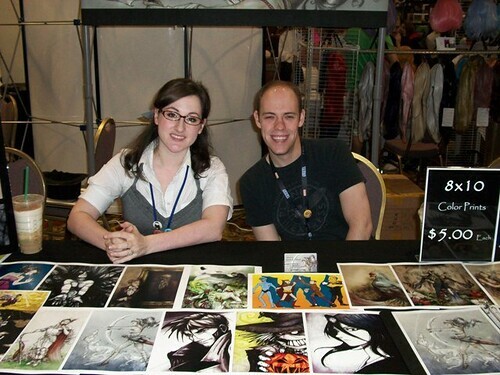 James (not the artist) and Rebecca Hicks (the artist) of Little Vampires. 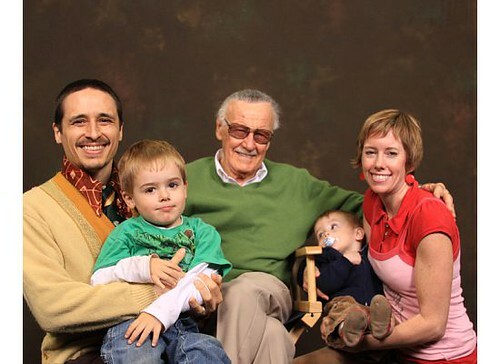 Rebecca Hicks is the artist behind Little Vampires, an all-ages indy webcomic based out of San Diego. 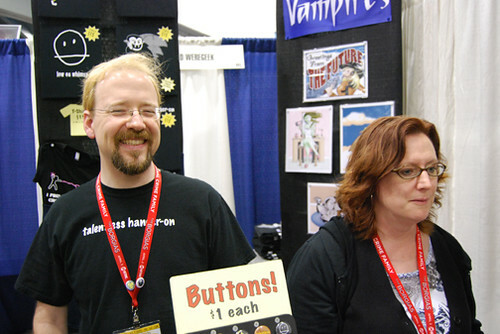 Her husband of 17 years, James Hicks, is often seen right beside Rebecca promoting the comic for the last four years in conventions around the U.S. In an industry that is heavily populated with male creators, James is often mistaken as the artist.